Want to know the steps for an author when it comes to audio book creation? 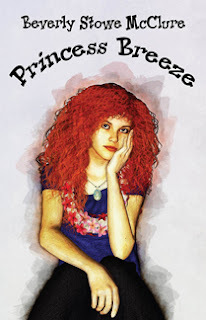 Then visit Sandra Ulbrich Almazan today for my take on how it all goes down! 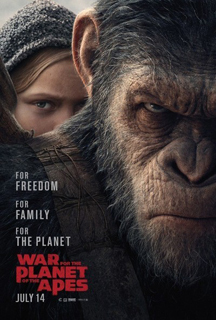 An army of humans led by the Colonel threatens the survival of the apes, setting Caesar on a path to avenge his kind. First word – exhausting. Emotionally draining on every level. You will be put through the wringer watching this film. However, the film is brilliant. So moving, so compelling. It’s a slow, purposeful pace, powerful in its intent. So many incredible moments along the journey. And such a terrible, tragic journey, but change one thing and it would’ve been worse. The apes are more human than the humans. The special effects in this film are the best I have ever seen – bar none. You believe the apes are real. Minutes into the film, they are no longer CGI. And they aren’t – the expressions, the eyes – so real and amazing. You really see Andy Serkis as Caesar. He so deserves an Oscar nomination for this film. All of the apes – so incredibly real. Props go to all of the human actors behind the voices and the actual actions. The cinematography is incredible. Again, Oscar worthy. There are several nods to the original films, including a mute girl who takes the name Nova and Caesar’s youngest son, Cornelius. Critics are calling it a great end to a trilogy. They could keep going with the stories if they wanted. But after seeing it, I understand why they are calling it that. If you’ve seen the other two films, you cannot miss this haunting and powerful chapter in the series. After delivering a patient to a closing hospital, a police officer and the small staff start experiencing strange things involving hooded figures and more. This is a throwback to classic 80’s horror films. There is very little CGI – it’s all realtime monster effects. The filmmakers were also obviously fans of both early John Carpenter films and of H.P. Lovecraft. There are strong elements from both creators here. The film has issues. But give the writing and directorial team credit for trying to make a respectable horror film in 2017. (Not a lot out there right now.) The director could’ve phoned it in, but he tried to do something of quality. It’s gory, weird, and ramps up the tension level. The cinematography is also great. If you are into gory creature features, especially with a throwback vibe, this is the film to watch. Hosted by Marie at Xmas Dolly. I am the Spotlight Dancer today and I choose the theme European Favorites! First up is Katatonia with Serein from their album The Fall of Hearts. This band began life as a screaming prog band but when the lead singer could no longer do it, the entire band changed their style to produce this beautiful album. They hail from Sweden. Next is Harken with Earthrise from their album Affinity. They hail from London. Pat Hatt has three new Tarsier Man tales! The Cherished Blogfest is this October! The IWSG Guide to Writing for Profit is open for submissions until the end of July! What have you found that makes a profit? What have you found that doesn’t? Please share your experience! Guidelines here. Deadline is July 31 – what are you waiting for? 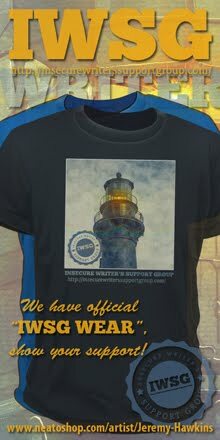 The IWSG’s first Twitter pitch party, #IWSGPit, is July 27! We have a great list of publishers and agents who will be watching the hashtag with many more checking in. If you have something ready to submit, you don’t want to miss this. 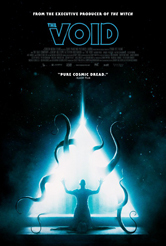 Have you seen War or The Void yet? What music moves you today? Participating in #IWSGPit or contributing to the anthology? Have some fun stuff planned for the remainder of summer? Don’t forget to visit Sandra Ulbrich Almazan. I’ll be offline next week but I will be on Twitter, especially Thursday, July 27 - #IWSGPit day! Good luck to all those who are Tweeting pitches. My awesome co-hosts today are Tamara Narayan, Pat Hatt, Patricia Lynne, Juneta Key, and Doreen McGettigan! Today’s optional question - What is one valuable lesson you've learned since you started writing? Never underestimate my actual readers – or who they are. My books appeal to as many women as men, something I never foresaw happening, especially with science fiction stories. But I accepted it and wrote to please my actual fan base, both men and women. The IWSG is hosting its first Twitter pitch party - #IWSGPit! We have a lot of agents and publishers lined up who will be watching the Twitter feed that day. You don’t want to miss it! Details HERE. 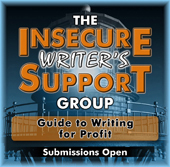 Submissions are open for The IWSG Guide to Writing for Profit. Anything writing related – books, journalism, articles, whatever. What have you tried that was successful? What have you tried that didn’t result in sales or making money? We need to know what doesn’t work as well! Submissions are open to all IWSG members – monthly blog post members, Facebook, and Goodreads. Details here. 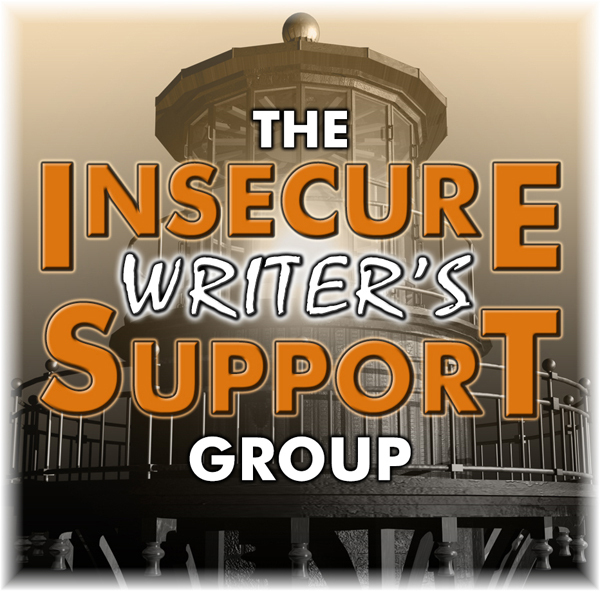 And in case you missed it - the Insecure Writers Support Group site made the Writer’s Digest 19th Annual 101 Best Websites for Writers! This has been a goal of mine for the past several year and we finally made it. Thanks to all of YOU for making the group and the site awesome. We couldn’t have done it without you. 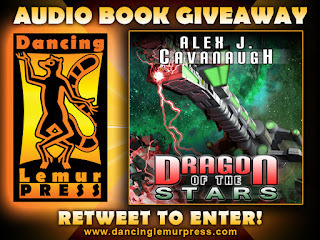 My publisher, Dancing Lemur Press, has been giving away an audio book every week since the beginning of May. 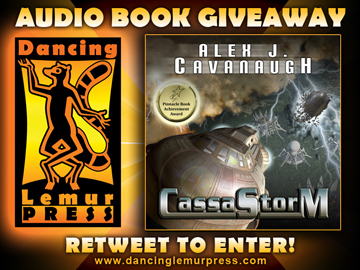 Today is the last day you can enter to win a copy of CassaStorm. 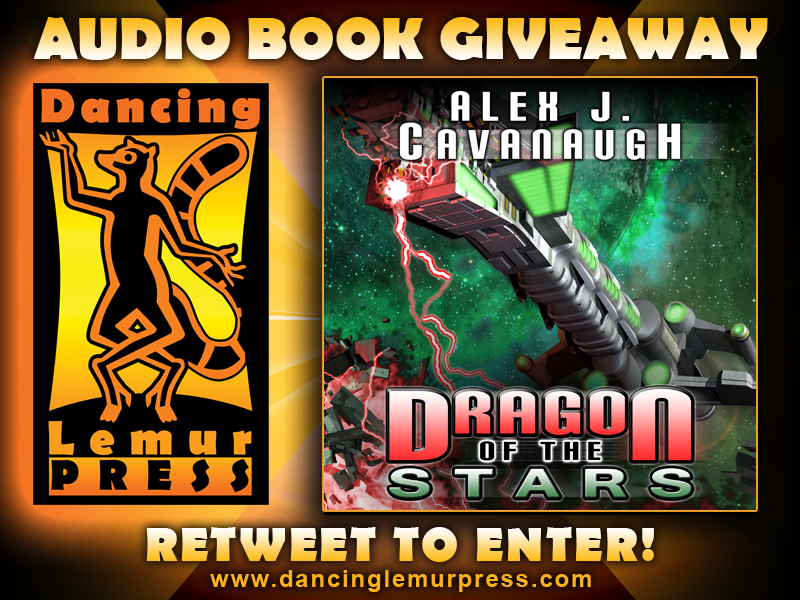 Just go to @DancingLemurPre and click the pinned Tweet to enter. 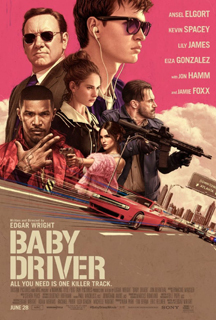 After being coerced into working for a crime boss, a young getaway driver finds himself taking part in a heist doomed to fail. Staring Ansel Elgort, Kevin Spacey, and Jamie Foxx. This film is classy and stylish, slick but casual in its execution. It takes you on a ride that is both exhilarating and laid-back. One of the coolest things about this film is how the music and action line up perfectly. From Baby lining up music for a getaway scene to the overall score, it is in perfect harmony. The car chases and driving are amazing. Your jaw will drop at some of the tricks and stunts. Baby is a sympathetic character. He’s a good person caught in a bad situation. He loves his foster father and cares about people in general. He and Debora (Lily James) have real chemistry on screen and make a good couple. Reviews for this film have it at near-perfect. 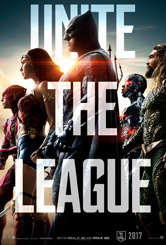 While I wouldn’t give it an A+, it was an excellent film. In a nutshell – silly and fun. 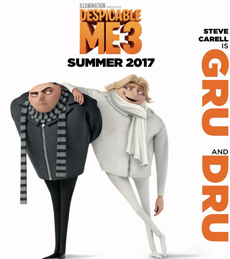 The Minions and Gru end up parting ways, so there becomes two storylines. Three if you count Judy’s efforts to find her place as Mom to three young girls. That's probably the movie's biggest fault - too much going on. Dru – the twin brother – could’ve been annoying, but he’s not. He’s a good balance with the more dour Gru. The animation is stunning. Some of the best I’ve ever seen. Some of the scenes were so real, it was incredible. Fans of the 80’s will also get a kick out of the villain, Balthazar Bratt. Or you’ll have horrible 80’s flashbacks – one of the two. 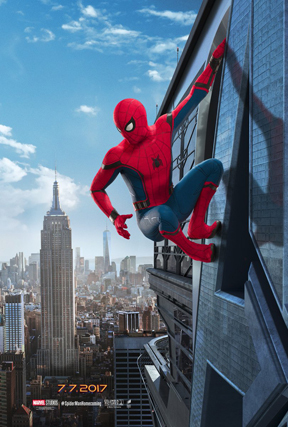 Here are the upcoming theatrical releases for July! As always, descriptions courtesy of the IMDB. Snark provided by me. It’s getting great review and buzz- and it’s not an origins story! Ninja happy. This could be the movie of the year. Advanced word – amazing and heart wrenching all at once. What have you learned since you started writing? 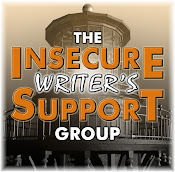 Sending an entry for the IWSG anthology? Entering #IWSGPit? 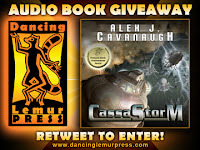 Want to win a copy of CassaStorm on audio? And what movie catches your eye for July?